Stock market is also known as the equity market. It is the hub of stock traders and brokers, who take part in the purchase and sale of bonds, shares, stocks. Both business houses and normal people can take part in the stock market, with the expectation of earning a handsome profit. People who have a good business sense will be able to become good stock traders. Apart from big stock brokerage firms, people can trade in this market personally. The business procedure simple, yet complicated. 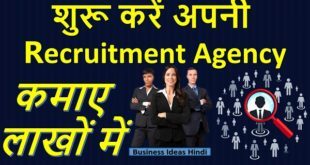 If you get into the nitty-gritties of the trade, without attaining a good understanding about the basics, then you will find yourself in heap of troubles. It is same as purchasing something from a shop. The shopkeeper sells the item and you purchase it by paying the price. The stock markets allow you to perform similar functions, but here, each stock trader will be able to resell the bonds, when the market price of each bond goes up. The price of the shares increases when the host company makes profit. The shareholders can sell the bonds or stocks when the price is high. Thus, if the initial price of one share was Rs. 100, and later it rose to Rs. 200, then the shareholder stands a chance to make a profit of Rs. 100 on each stock. There is also the possibility of the stock process going down. In that case, the shareholder may incur a loss. There are 28 stock exchanges in India. Most of them are located in each state. But the two primary stock exchanges, which control the stock market in the entire country, are the Bombay Stock Exchange and the National Stock Exchange of India. BSE was founded in the year 1875 by Premchand Roychand. The NSE was started way later in 1992. It is also located in Mumbai. All big players of the stock market have their representation in these two exchanges. After the preliminary knowledge about share market and trading, it is time to talk about the accounts that each share trader needs. If you are interested in trading online in the share market, then you need to open a trading account as well as DEMAT account. The trading account will form a link between the savings account and the GEMAT account. Monetary transactions will primarily take place between the savings and the Trading accounts. The money will first be deposited in the trading account. From there it will reach the company’s account or the shareholder’s account, depending on whether you are buying or selling the stocks respectively. All bonds, stocks or shares will be stored in the respective DEMAT account, in electronic format, for better online transactions. 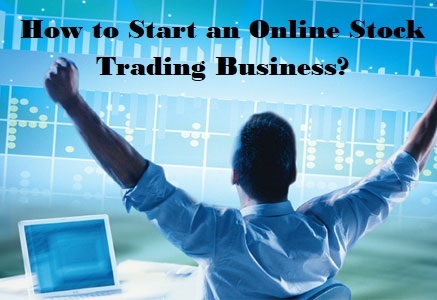 If you desire to carve your niche in the online share trading industry, then you need pertinent knowledge. It is not mandatory to open a big share trading organization. You may do it independently as well. You will not be able to stay afloat in the share trading business, unless you have a proper plan. Planning not only prepares you for risks, but also offers you better insight in the business. Share trading is rather unpredictable, and planning also offers you a cushion to fall back on in case anything goes wrong. In case you do not have necessary and bankable information about the process, then you will not attain success in the venture. It might simple when you have the grip on it, but it will not be so in the preliminary days. Read books, search online, and consult with seasoned brokers to prepare your foundation. If your base in strong, then you may get success in your online stock trading. Online transactions, buying and selling of stocks or bonds have become easy with the introduction of the online trading sites. If you have an interest in online trading, then you need to ensure that you have an active savings account in a registered bank, and a DEMAT account. Apart from this, a third account, Trading account is a must for online stock trading. These accounts can be opened online, and all you need is to scan and upload the necessary documents, and your accounts will be activated. Before purchasing stocks or shares, you need to study the market trends. It is not wise to sell stocks when the market it dipping. But purchasing shares can be lucrative, provided you get hold of good shares. Only sell the stocks when the market is up. That will put more money in your pocket. Study the market, company activities, and listen to what the experts have to say, until you have acquired enough experience to predict the stock market nature. Once all necessary aspects have been taken care of, and you have acquired a decent knowledge about the lucrative shares, then it is time to get on board. Independent traders often make use of official online sites to get hold of the preferred shares. In case you find it challenging to locate profit yielding stocks, then take help from seasoned brokers. Share market is rather volatile, and one cannot predict the outcome. Is it possible to say whether the share price of a company will go up or come down? You can only wish that it increases, so that your chances of making a profit surge. But the reverse is also possible. Investing in the stock market is like gambling. You never know what will happen the next moment. Losses are common when you are trading online. But these should not deter you. One tip that all seasoned brokers swears by is never to invest a huge amount on shares. Only gamble with the amount that you are ready to lose. You must always have funds to fall back on. Investing in long-term shares is safe as they tend to give you profit over a certain time. Volatile shares may not be a good idea if you desire to invest a huge sum. PAN Card – To open a DEMAT and Trading account in India, the person must have a PAN Card. The PAN Card number will allow the authority to keep track of the transactions happening through the DEMAT and Trading account. Identity Proof – The identity proof documents are also a must for opening the DEMAT and trading accounts. The PAN, voter card, ration card, or any such document will be accepted. It must have the picture of the person. Address proof – Whether you open a bank account or a DEMAT account; the authority will require your permanent and current address proof. Most photo ID documents, like voter card or pan card, have the address as well. Income proof – When you start trading in the share market, you will have to offer proper proof of income. The tax papers, salary documents, ITR Acknowledgement certificates or bank statements will come in handy offer a pertinent proof. Savings Bank Account Details – As the presence of an active savings account is a must, the person opening the DEMAT and Trading account must submit the related details. Cancelled cheque or bank statement photocopy will be enough. The stock market may seem complex to start with. With proper research, and guidance of the experts, you will be able to get a grip on stock trading. Shares and stocks will only bring in profit if you take the correct decision at right time. A novice might falter in this department, but once you gather enough experience, things will fall in place easily.